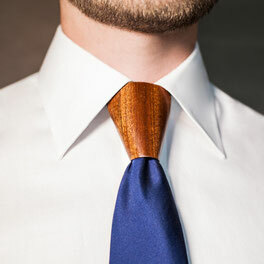 The Tiepiece has been inspired by some of the classic tie knot shapes: half windsor, simple and windsor. 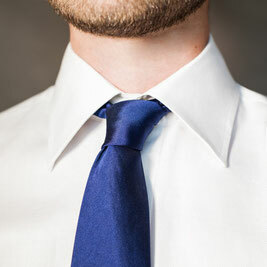 Every Tiepiece can be worn with every tie knot and tie, according to the size of the neck of your shirt. 1. 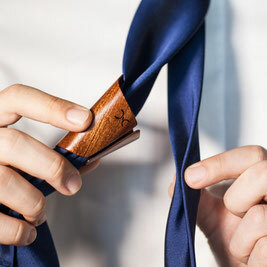 Knot your tie so that it becomes smaller than your Tiepiece. 2. 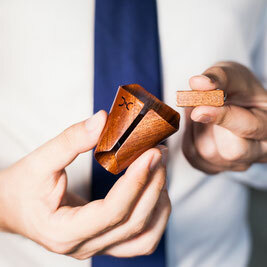 Unhook the magnetic clip inside your Tiepiece. 3. 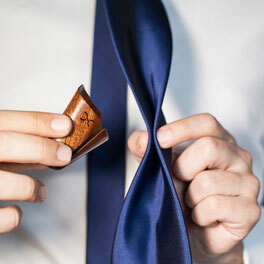 Insert the clip on the upper side of the knot of your tie, from top to bottom. 4. 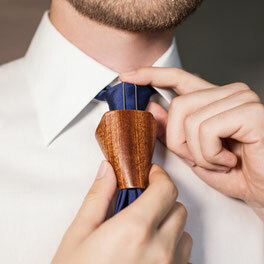 Take both sides of the wider part of your tie and insert them in the back crevice of your Tiepiece. 5. Do the same with the narrow part. 6. Pull upward until it fits to the clip. 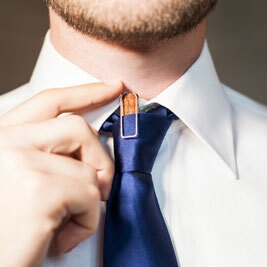 Attention: Permanent magnets inside, do not wear if you have a pacemaker.